Golden Vines ‘IS’ now sold in Connecticut!! 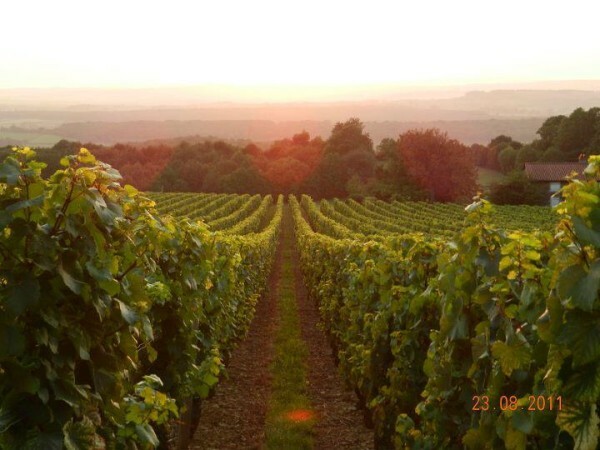 We are happy to announce that we were given approval by the Connecticut State Liquor Authority to begin selling wine in this beautiful state starting today!! Connecticut being so close to where we both live in Westchester County, gives us an opportunity to expand our exposure to another growing wine population. Craft Beer, Craft Spirits, Farmer’s Markets, Farm to Table Restaurants = just a matter of time for people to recognize that Golden Vines is a leader in Craft Wine Imports. 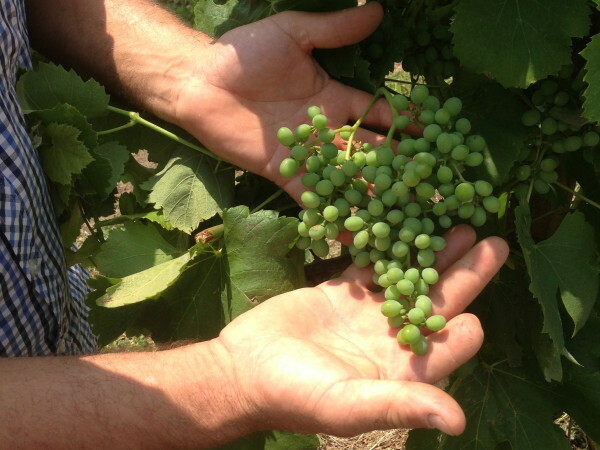 Know where your wine comes from, who’s working the vineyards, what are they spraying on their plants, what are they adding to their wine…who’s hands are in your wines??!!! Wow, does time fly since it only feels like yesterday that I returned from a whirlwind visit to Italy. 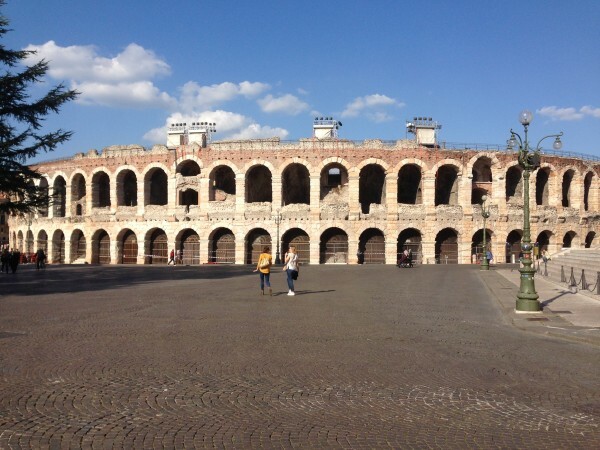 Annually I try to get to the Vinitaly wine fair in order to meet most of our Italian producers at the country’s largest wine event which is held in the picturesque town of Verona. Besides meeting our current producers and tasting their new vintages in one place it also provides me an opportunity to taste many other potential producers at one time. Obviously the best part is that I need not drive from North to South in order to taste wine from different regions. The problem is this takes place in four days so from about 6am to midnight it is one long taste-fest. This always sounds amazing to people but when you factor in that I end up hardly ever swallowing wine, the glamour soon rubs off. Now I won’t accept any sympathy either since this year I mixed it up with a visit to Campania and the Amalfi Coast to taste with potential producers plus the weather was a consistent 70 degrees with bright sunshine for the entire visit. Combine all that, plus finding two new producers including one from an unrepresented region [I'll wait until it is official before I announce the new producers] and you have one successful trip! Cent’anni! Well after the last 2 winters felt like they lasted forever it has been nice to enjoy some warmer temperatures in February and March. This in turn made everyone start to crave the wine of the moment – rose’. Rose’ is made all over the world but like most things when it comes to wine, the French lead the pack and the others follow. Generally rose is made by letting the skins from the red grapes spend a little time with the clear juice that is produced when the grapes are crushed, leading to a pink or darker tint to the wine. The should not be sugar sweet [unless they are junked up with sugar - not very unusual these days] but should offer a bridge between a white and a red. Some fruit is ok but pick one of those pink things next time at the store and close your eyes when you taste it, tell us what you taste. If your teeth ache – we understand why! 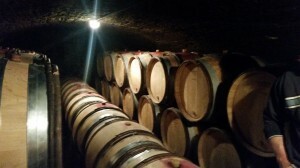 Unfortunately more and more importers are pushing their products onto the market in order to beat the rush though these wines are not ready yet and in the end the quality suffers – can you say ‘market bubble’!! WE are slightly more patient and will wait for the wine to actually be ready to drink because our shareholders trust us first and foremost, besides we are not looking to sell out for the quick buck! Please try our rose wines this spring and summer – heck rose is great all year round. 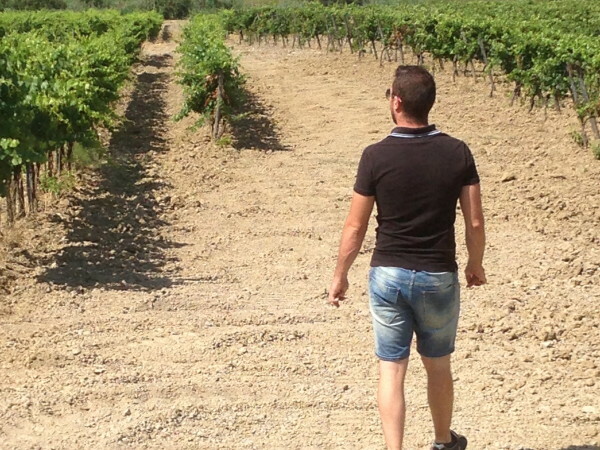 This year we will add Domaine du Vistre’s Costieres du Nimes to last year’s success stories, Daniel Reverdy Sancerre Rose, La Braulterie’s Rose [Bordeaux] and Sergio Arcuri’s Il Marinetto [Calabria]. By the way this last one won’t arrive until May and even then it is pushing it but boy will it turn your head when it comes to rose’. February 2016 opens with bang as we start with a Burgundy wine taste off! 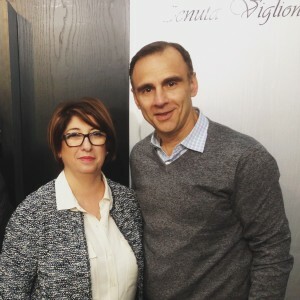 We will taste our wines side by side against another great importer, Eric Foret of Table to Table at Rouge et Blanc the sensation restaurant in the Village. Check out the link below for more information. 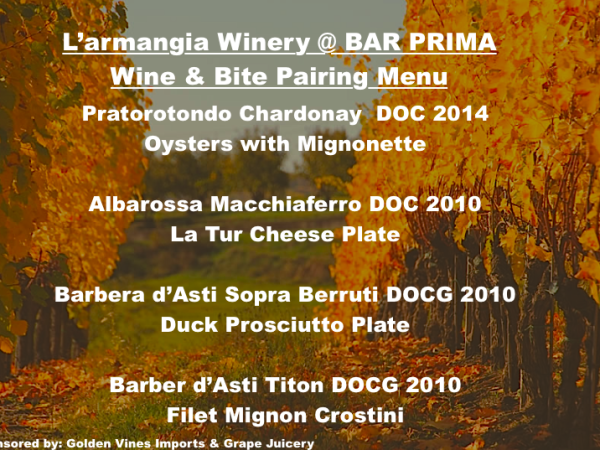 On the same day [Wednesday February 3rd] we will be hosting a wine tasting paired with small plates with Ignazio Giovine of L’armangia at the Upper East Side wine bar Bar Prima. 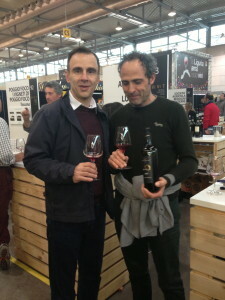 Ignazio is in town because he won another pair of Slow Wine awards and we are excited to have him visit the NY market. Friday February 5th we will pour some of artisanal wines at International Wines in the Columbia University neighborhood [Broadway and 114th St]. Wow, were we surprised by all the calls regarding Sanfeletto’s Product Placement at the end of HGTV’s hit show Property Brothers. 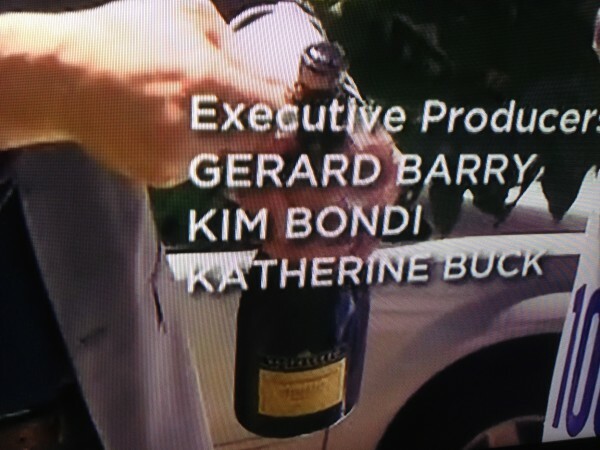 When you watch the video you will clearly see that the hosts pour Sanfeletto Prosecco as they celebrate their 100th Episode. Congratulations to Property Brothers and the same to Imelda and Paolo of Sanfeletto!! We are proud to stand amongst such good company. Can you say product placement…?? We are proud and confident in the wines we import. We work hard to import small-production, artisanal wines that many describe as “hidden gems.” We literally taste hundreds of wines, and only a few make it. Most of our producers are truly “under the radar” which enabels us to bring in excellent wine at affordable prices. However, and as is inevitably the case, our hidden gems get discovered; they appear on the radar. 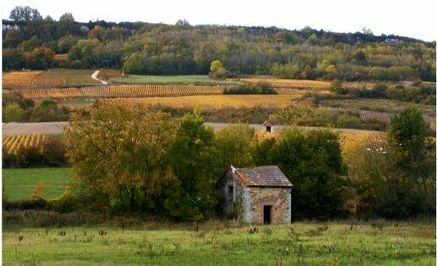 This has happened in the past when, for example, a couple Burgundy producers appeared in the aptly named Article “Top Ten Burgundy producers under the radar.” Or when wine critic Matt Kramer cited Bricco Maiolica as the best producer in Diano d’Alba. Wow 2015 was some year for Golden Vines with a large increase in sales, an influx of new clients, plus new producers and wines imported in both France and Italy, then we even welcomed a new member to our team – Kelan Golden born to Ben and Emilie this past year. Yes, we were quite busy and I guess our posts or lack of, represents that activity. In between that activity we did get a chance to get to Italy a couple of times to visit our producers at their estates so we can see first hand how the vintage was progressing as well as see how these passionate winemakers were doing their utmost to produce the best wine possible. We sourced some new wines from France like Chateau des Gimarets that makes some awesome Cru Beaujalais, Domaine Maurice Charleux where we found some under the radar Burgundy from Maranges, old vine gamay rose’ from Domaine le Bout de Monde, Clairette de Die from Domaine les Trois Becs which is a sparkling, slightly sweet muscat, and from the Languedoc we found some outstanding value wines, Domaine du Vistre and Chateau du Cointes. In Italy we went way up north to the smallest wine producing region, yet arguably the hottest wine zone in Italy, the Valle d”Aosta. This is the region that borders France and Switzerland [think alpine wines] on its northern borders and Piemonte to its south. 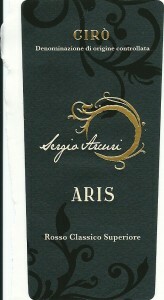 The wines are very unusual with natural savory notes that blend well with the brambly fruit that these wines possess. 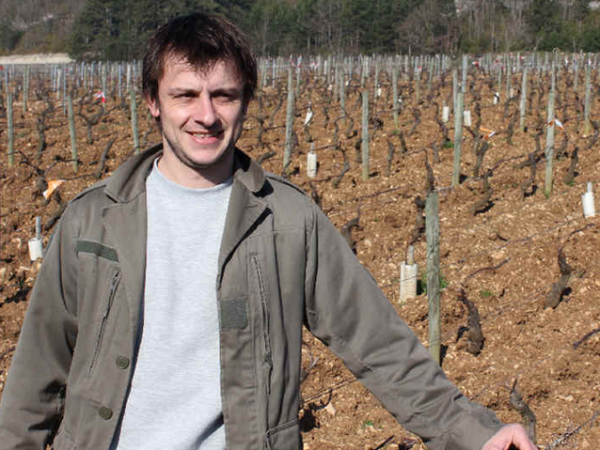 Le Clocher is the producer and we’ll start with their Cornalin and Fumin, two indigenous varietals. We also added new wines from our stable of great winemakers that we’ve been working with- check out ‘Our Wines’ section for more info on our selections. In 2016 we look to continue with what we started in late 2013 and always find delicious wines from artisanal producers. We will continue to do tastings and wine dinners so continue to follow us on Facebook, Twitter and Instagram for the most up to date information on these events. We are looking to expand our reach this year to other states like we did in 2015 where we entered the market in Long Island, Queens and New Jersey,. Feel free to continue to reach out to us at info@golden-vines.com We were able to direct a bunch of people looking for our wines to retailers and restaurants for their own enjoyment as well as for gifts for the holidays. Purposely you won’t find our wines in every liquor store or corner restaurant yet one taste tells you the wine is delicious, unique and tells a story in every sip. The future is bright and we are thankful for your support. To say we have been busy at Golden Vines would be an understatement. It seems like for the second year in a row we went straight from hats and gloves to shorts and t-shirts. In other words we went from Winter to Summer and pretty much forgot all about Spring. What that means for us wine importers is that we transition from selling full-bodied reds one week to rosé the next. This is our third summer in business but only our first one selling Rosé. 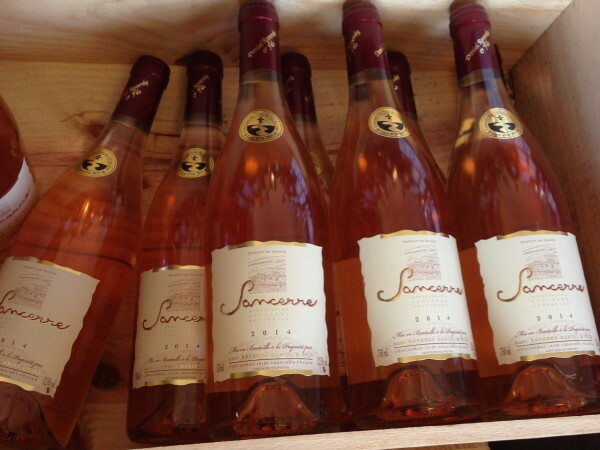 Our incredible Sancerre producer – Daniel Reverdy – makes a delicious Sancerre Rosé (100% Pinot Noir) and we have never sold out of a wine so quickly. By the time the wine got off the boat and into the warehouse it was already sold out. To our pleasant surprise, this record was quickly beaten by our delicious Italian Rosé: Cerasualo d’abruzzo. This Italian gem is a pleasant departure from the overly simplistic, light, fruit-forward Provencal-style rose wines that dominate the American market. Some thought we were crazy to bring in rosé so late in the season – you have to understand people start pre-selling rosé in January! However, we proved that timing the market is not nearly as important as simply delivering on our promise to bring in small-production artisanal-wines at great prices. 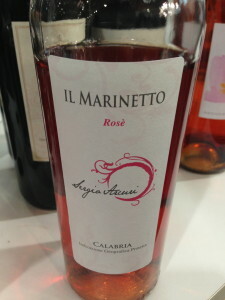 In one day, the very first day we introduced that Italian Rosé to the market, we sold half our allocation. Although summer tends to be the slowest time of the year – the Golden Vines team did not get that memo. June was literally one of our busiest months since we started. We had great tastings at: The Wine Stop, Dylans Wine Cellar, Wine Gems, Vine and Co, Martin Broters, Shawn Wine and Spirits, International Wines, Leon and Son, Grapeshot, and Shop Rite to name a few. For years we have been working hard to get the message out that we have great, unique, artisanal wines at affordable prices. We thank everyone who has supported us via Twitter, Facebook, Instagram, and especially to those who have attended tastings in stores. The wider wine world is starting to receive the message: if the back label has the Golden Vines label you know what’s in the bottle is great juice. Our phones have been ringing off the hook and we are now proud to do work with small wine shops from Hudson, NY to Princeton, NJ and everywhere in between. We are already looking towards the Fall and will have containers from France and Italy on the water in 2 weeks. We are looking forward to bringing in more of our fan-favorite Domaine du Vistre Cabernet and our white-hot Pinot Grigio that we can’t seem to keep in stock (once people discover “real” Pinot Grigio they can’t get enough.) We are especially excited to bring in our first Val D’aoste producer: Le Clocher. When we started this company our “book” or portfolio was one page. 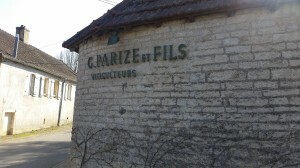 Our current portfolio is 4 pages full of interesting, artisanal small production farmer wines. We are honored to work with some of the most interesting and unique wine stores and restaurants in New York and New Jersey. 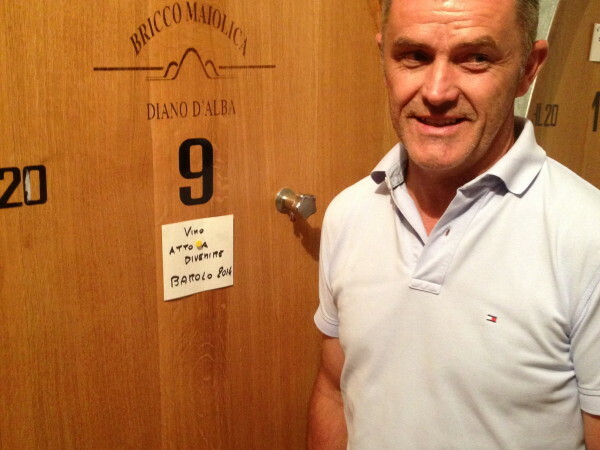 We are excited to welcome for the first time to NY Lucio Mosole of Tenuta Mosole in the Veneto. 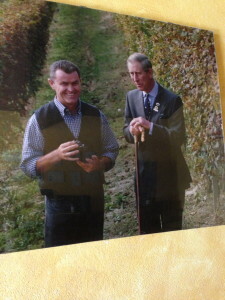 For his maiden visit he’ll do two events one in Manhattan at our new partner Back Label Wine Merchants on Friday May 1st. Then the next day we’ll travel to Peekskill to one of our original supporters, Dylan’s Wine Cellar where we’ll help celebrate their anniversary with Lucio’s visit as well as an art exhibit.